Finance Secretary Mark Drakeford announces £2.9 million to fund specialist employment and training services for people with sensory loss. Nyrsys is a new play to celebrate the NHS 70th anniversary which will have a live BSL translation. To mark the centenery of the end of the First World War. Mae COS yn falch o gyhoeddi y byddant yn cynnal sesiynau gwybodaeth ar osodiad mesurydd SMART a ariennir gan Ynni Clyfar GB. COS are pleased to announce they will be hosting information sessions on SMART meter installation funded by Smart Energy GB. Latest news about the Conwy GP pilot in Bodreinallt GP Surgery and Mostyn House GP Surgery in Llandudno. 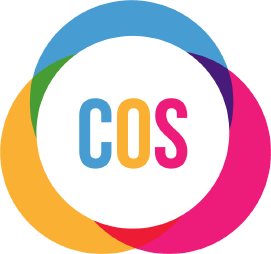 COS wishes Sarah Matthews well as she resigns from her position at the charity. COS Training and Consultancy Manager Holly Cuffin accepts her certificate after becoming a Mental Heath First Aid trainer. New North Wales centre supporting people living with sensory loss, set to launch. New Sensory Loss Centre will bring together local and national charities. Local campaigner thrilled to see arrival of Sensory Loss Centre. Young TV star to visit the centre as she begins here youth ambassador role. Mum of two raises money for local charity with a ‘unique' sponsored silence. British Sign Language learner comes face to face with the problems faced by Deaf people everyday. British short film the Silent Child won the Best Live Action Short Film at the 90th Academy Awards last night.